Working in a highly competitive environment, strong business intelligence (BI) has stayed on GKN Powder Metallurgy's agenda for more than 15 years as a key pillar for efficient operations and business success. But defining the demand for a suitable BI tool is only half the answer. Implementation management and asking the right questions before starting a project is equally important for a valuable and connected Industry 4.0 strategy. 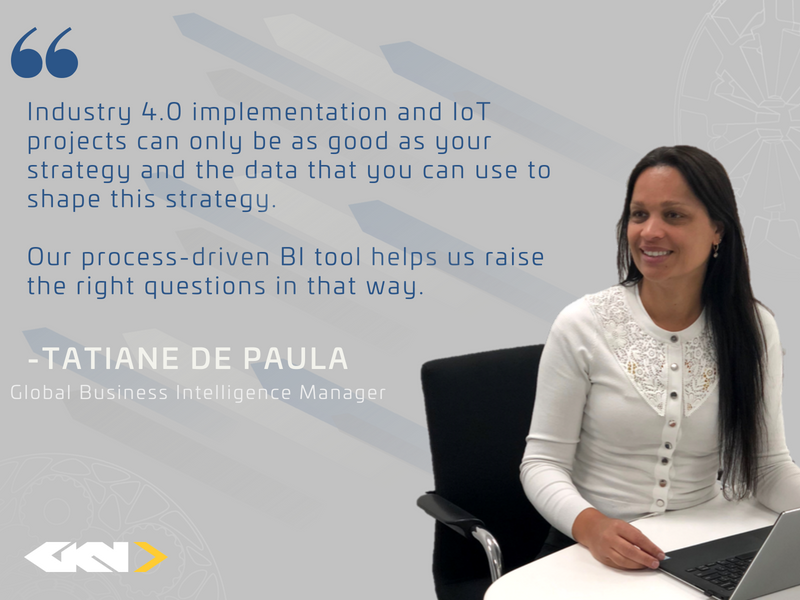 We asked Tatiane de Paula, Global Business Intelligence Manager, why GKN Powder Metallurgy decided on an Industry 4.0 in-house solution rather than an off-shelf solution, the advantages of the BI tool and how the team launched the successful implementation. Born in Brazil, Tatiane de Paula lives and works in the United Kingdom. Her colleagues involved in the development of new business intelligence tools do not live or work in close distance. The virtual team is spread across the world. To start, can you please explain what BI means to you and why it’s important for a successful implementation of Industry 4.0 and IoT projects? 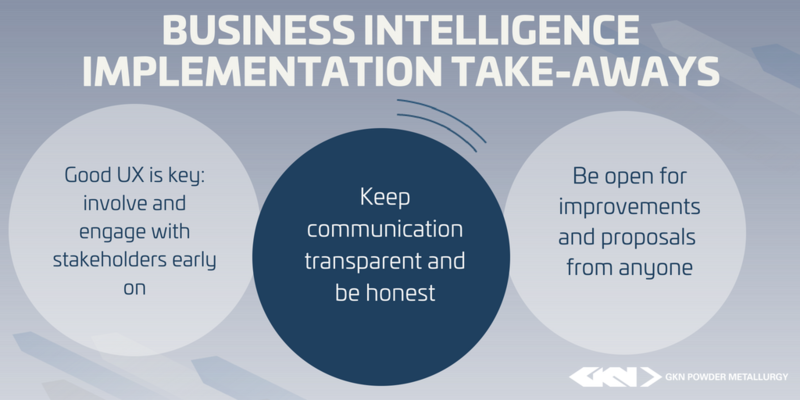 BI is an easy way to connect data from multiple sources and transform it into information so people can use and, most importantly, act on the information to add value to the business. For me, Industry 4.0, IoT and BI are all part of the same thing: collect data in a smart way and transform it into information so actions can be taken either by a person or the machine itself. These both aim to improve the value added to the business. Please give us a short insight on how GKN Powder Metallurgy evolved its current BI solution. Our BI journey started almost 15 years ago and, at the time, was primarily controlling-driven. Our first release, iDash1, was structured along our functions and served the demand to provide automated reports anytime and anywhere in the world with small effort. It was a simple working application; but it wasn’t user friendly or intuitive. As a drawback result, it remained a typical tool for heavy user and data experts. This phase taught us that we were good individually, function by function, but when we tried to put the information together we still had a huge gap. For example, we spent hours talking about purchasing numbers versus finance numbers, trying to validate the correct numbers; wasting a lot of time while no value was added to the business. Ultimately, this inspired our considerations for iDash2. We wanted to close the gap between functions and bring the data closer to the operational level. The development of iDash2 started from a different perspective: we wanted a process-driven solution that allows each function to get the big picture and see the connection of one number to another. The key requirements for developing the new BI solution were intuitive data and report setting, standardized data aggregation and visualization. The advantages for your management are obvious, but how does this connect to GKN Powder Metallurgy´s Industry 4.0 roadmap and IoT projects? Industry 4.0 implementation and IoT projects can only be as good as the strategy and the data that can be used to shape that strategy. Primarily, our process-driven approach helps us ask the right questions: how can we improve our processes and make them more reliable and efficient? IoT project cases and investment decisions will always follow these questions. A more holistic perspective will always improve decision-making. Secondly, working on our BI suite has levered and accelerated the digitization of most of our machines and measurement stations across our shop floors. Today, this enables a much smoother integration of machines to new IoT use cases leading up to self-controlled manufacturing cells and our vision of the shop floor of the future. The Visual Shop Floor application is part of GKN Powder Metallurgy's iDash BI-suite, providing a permanent overview of all production facilities across the world. And there is another important aspect: working together on such a widely spanned digitization project has changed our mindset and helped develop new competencies. We started the project as a necessary in-house project to serve a demand that we believed wouldn´t be solved more accurately with an external off-shelf product. 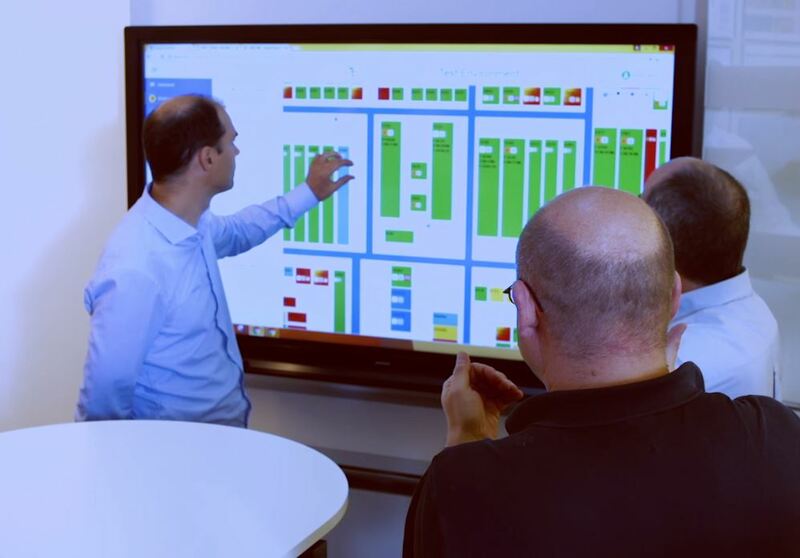 Coming from the position of an advanced metal components manufacturer, competence in data management has now become an integrated part of our business model: a key aspect going forward is connecting with our customers with integrated, data-based value chains and services. Slower acceptance of digital tools seems to be the most relevant delay to many Industry 4.0 projects. Was it difficult to convince a wider group of people to use the new BI solution instead of relying on the service of “data experts” and other heavy users? In our case, the first tool was helpful for standard reports within functions, but its set-up required a lot of effort to connect and validate the data. During implementation it was helpful to to keep transparent communication about the big picture of the project: where are we, what are the next milestones and when should they be achieved, how much effort will it take for those involved, and what will be the benefits of the change? Can you quantify any of the advantages GKN Powder Metallurgy took from the new tool’s implementation? Within their reporting responsibilities, users used to spend long hours running reports from different systems and putting the data together in PowerPoint presentations. One example is the daily start-up meeting that takes place every morning at all our plants. In the past, operations managers used to arrive one or two hours in advance to prepare the daily start-up meetings and every meeting looked different. Today it takes just a few minutes and it can be prepared from anywhere. If you want to learn more about this, and other benefits we gained from implementing iDash2, you can read the new case story we have recently published on our website.